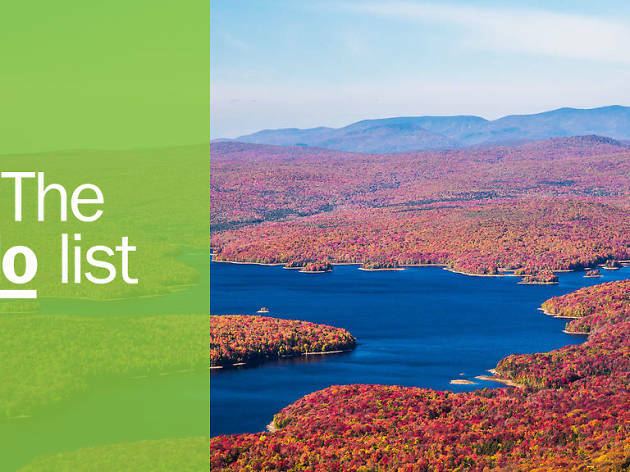 Vermont is known for its forested natural beauty, majestic green mountains, scenic hiking trails, and destination-worthy skiing. 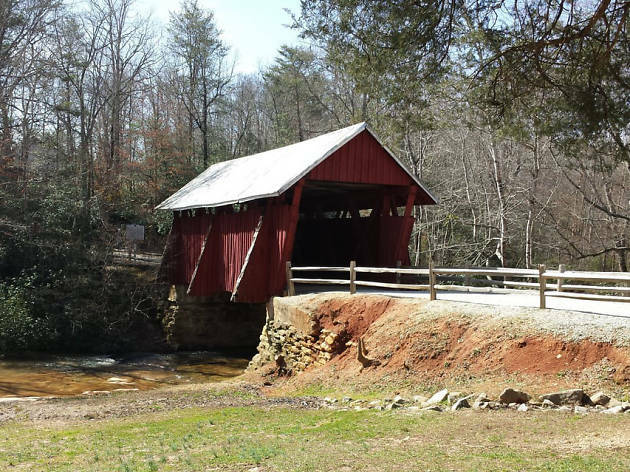 The state is also famous for its picturesque wooden covered bridges, of which there are more than 100. 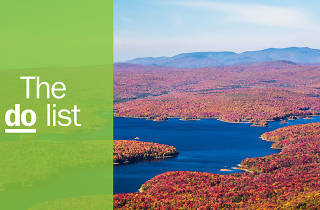 The natural beauty of Vermont’s landscape has fostered a dedication to conservation among its 600,000-plus residents. (It’s the second-least populated state in the nation.) You’ll find many small farms, local artisans, and a wealth of products grown with environmentally-friendly standards: beer, cheese, maple syrup, veggies … all lovingly crafted by locally-minded Vermonters. It’s a place where you can explore history, enjoy nature, and get close to the locals through shopping and dining. What is it: 300-plus foot stone obelisk commemorating the Battle of Bennington during the American Revolutionary War. Why go: Vermont’s tallest structure is also its most popular state historic site. You’ll get fabulous views when you climb to the top, and you’ll learn how an ill-equipped New England militia defeated the British soldiers. 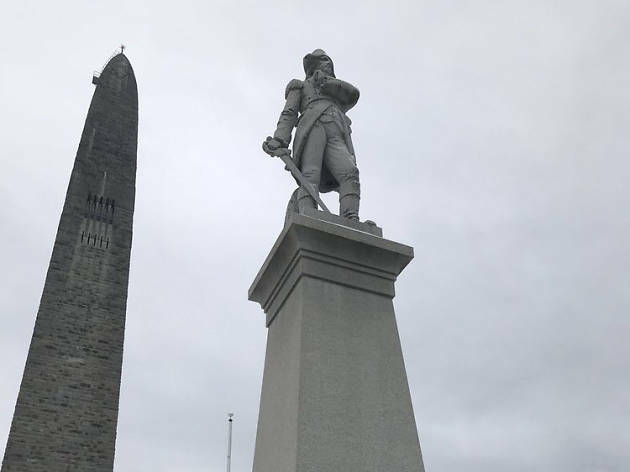 There are several events held at the monument, including a reenactment and celebration on Bennington Battle Day in August. What is it: Showroom and glassblowing demo studio of prominent glassblower and potter Simon Pearce. Why go: Set in a restored 19th-century mill and hydro-electrically powered by the Ottauquechee River, Simon Pearce’s showroom in Quechee is an idyllic setting for browsing his glass and pottery works. In the basement is the workshop, where you’ll see craftsmen in action, blowing the glass pieces for sale above. Be sure to have a meal at the restaurant overlooking the falls - the menu is brimming with local products and ingredients. 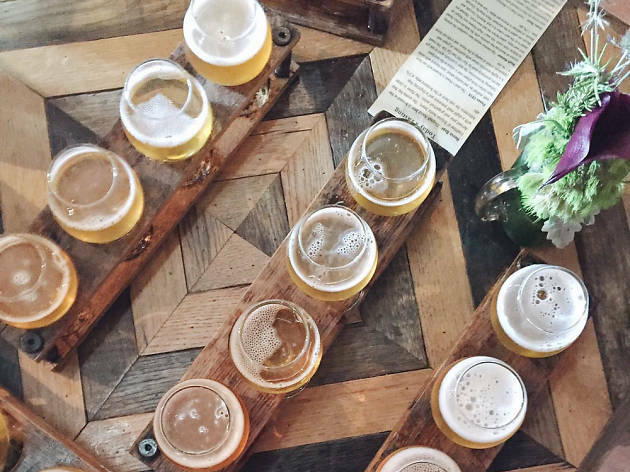 What is it: Put together your own tour of the state’s top breweries, or head to Burlington to take an organized tour. Why go: In addition to edible delights, Vermont produces some of the best craft beer in the Northeast. You’ll find concentrations of craft breweries (plus distilleries and artisan purveyors) in many parts of the state including Stowe, Burlington, and Middlebury. What is it: Picturesque, mostly mid-19th century wooden bridges dotting the landscape throughout the state. Why go: Bridge-loving photographers rejoice: Vermont has more than 100 covered bridges, more per square mile than any other U.S. state. Middlebury is home to the oldest - Pulp Mill Bridge from 1820. Bennington has five within a short drive. The others are well-marked on road maps. The crown jewel, however, is the Windsor-Cornish Covered Bridge. 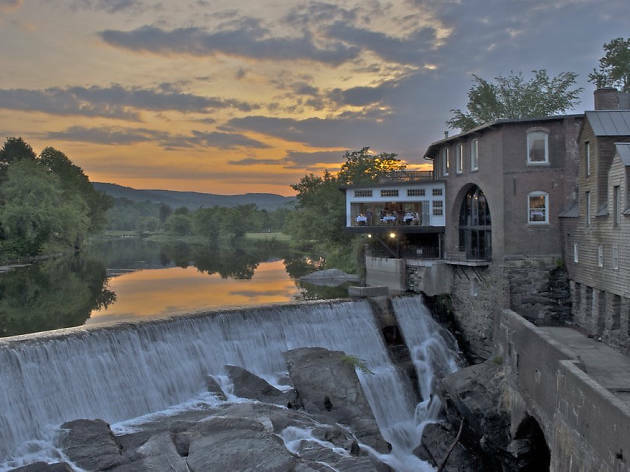 Drive it from Vermont to New Hampshire over the Connecticut River and experience the longest two-span covered bridge (465 feet) in the world. Photograph: Courtesy Yelp/Mary Ellen U. 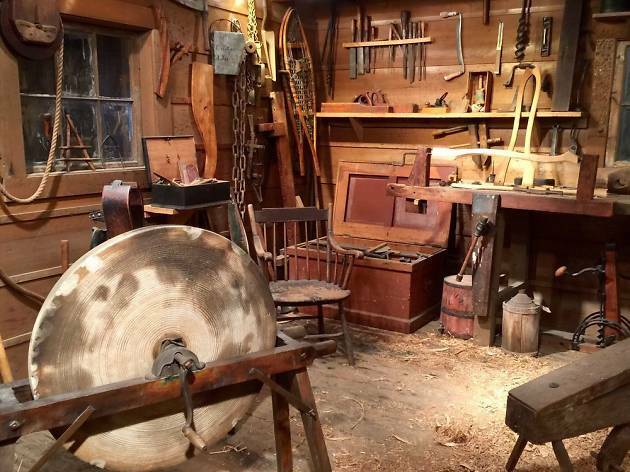 What is it: Former summer home of Abe Lincoln’s son, featuring Lincoln memorabilia and more. Why go: This Georgian Revival estate in Manchester is more than just a beautiful, 24-room historic mansion. Inside, you’ll find original family furnishings, one of President Lincoln’s famous top hats, and an intricate pipe organ. The grounds include a working dairy farm, gardens and research-focused greenhouses, a restored 1903 Pullman train car, a pollinator sanctuary, and a boardwalk through the property’s preserved wetlands. What is it: Behind-the-scenes look at how Vermont’s famed frozen dairy duo makes the magic happen. 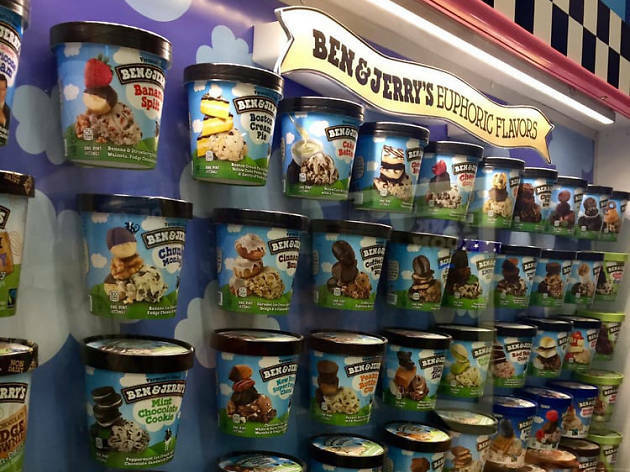 Why go: Ben & Jerry’s hippie vibe and social consciousness is a product of its Vermont roots. Find out more about the company’s origins on a tour of the factory in Waterbury. Learn how they make their amazing ice cream, then sample whatever flavors are being made that day. Pass through the Flavor Graveyard, where actual headstones honor retired flavors. Be sure to pick up a tie-dye t-shirt and other far out souvenirs in the funky gift shop. What is it: A museum of art, design, and Americana housed in a collection of historic buildings. 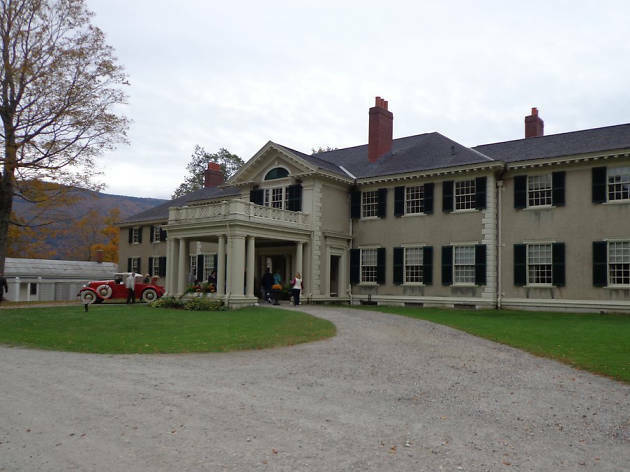 Why go: The Shelburne houses more than 150,000 works, including Impressionist paintings, quilts, furniture, and 17th- to 20th-century artifacts. The museum is comprised of 39 different buildings, 25 of which are historic and were moved to the property. You’ll also see vintage wagons, a lighthouse, and beautiful gardens as you stroll the property. There are plenty of events, talks, and workshops throughout the year. Spend all day here and get lost in this diverse collection of art and objects. What is it: 1,000-farm dairy cooperative that produces some of the world’s best cheddar. Why go: While tours of the cheesemaking area are no longer available to the public, Cabot’s visitor center is worth a stop for cheese lovers. 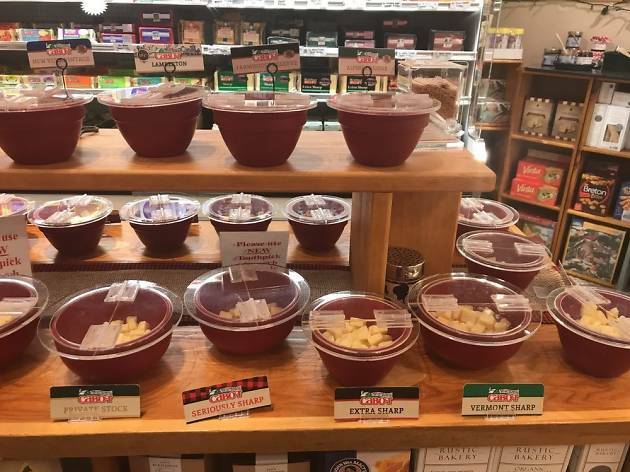 An informative video tour is available for real enthusiasts, but the highlight is tasting the full range of Cabot’s regular cheeses and dips plus samplings of limited edition cheddars and a range of artisan products from Vermont. 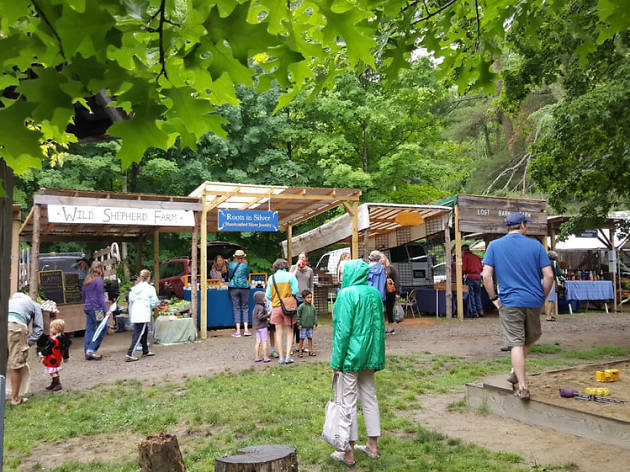 What is it: Weekly farmers market featuring more than 50 vendors selling Vermont’s finest local foods. Why go: To taste all the delicious bounty that Vermont has to offer, just stop by the Saturday farmers market in Brattleboro. From cheese, maple syrup, veggies and fruit to free-range lamb and beef, everything at the market is fresh and local. Find homemade breads, pastries, and other prepared dishes while you enjoy music and people watching. Bonus Vermont points: it’s located next to the historic Creamery Covered Bridge. 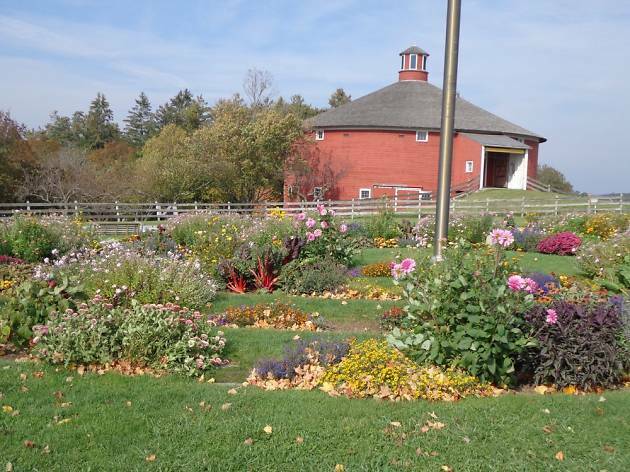 What is it: Working dairy farm and interactive museum in Woodstock. Why go: Established in 1871 by Frederick Billings as a model of sustainability, Billings Farm offers a unique way to experience Vermont’s rural history and heritage. Home to more than 60 Jersey cows, it’s a working farm, and visitors can participate in farm chores while learning agricultural history and land stewardship. With daily activities like “Meet Our Sheep” and “Intro to Milking”, you’ll get an up close and personal look at farm life. Reward yourself with a visit to the Dairy Bar for fresh cheese and ice cream. What is it: A trail of wine, beer, and spirits producers along a five mile stretch through Middlebury. 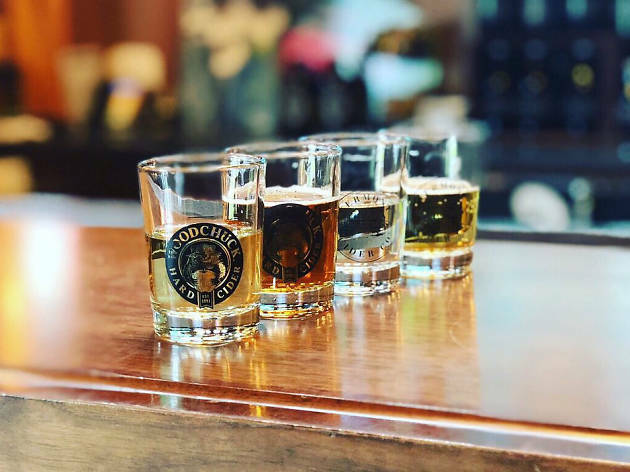 Why go: The Middlebury Tasting Trail was established to officially promote the adult beverage makers based in this college town. The trail, along five miles of beautiful Green Mountain scenery, includes seven producers: Lincoln Peak Vineyards, Woodchuck Cider House, Otter Creek Brewery, WhistlePig Distillery, Stonecutter Spirits, Appalachian Gap Distillery, and Drop-In Brewing. Due to differing schedules, if you want the full shebang be sure to go on a Saturday when all seven are open. 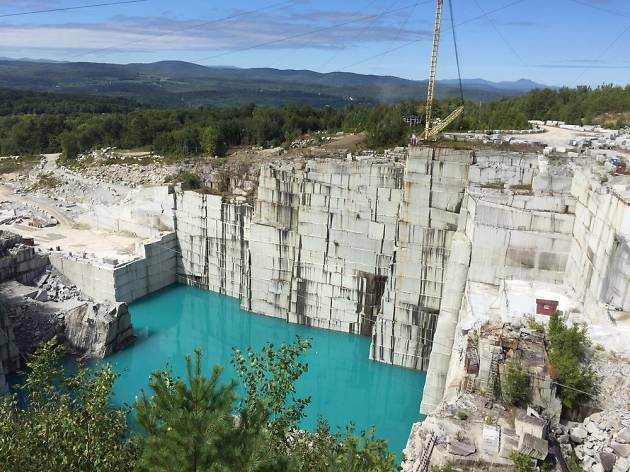 What is it: The world’s largest deep-hole, dimension granite quarry. Why go: Watch from a distance as massive blocks of granite are extracted from the quarry. It’s a stunning visual, with towering granite walls and milky green pools - an alien landscape used as a filming location for a Star Trek movie. Take a self-guided tour through the plant and you’ll see the granite transformed from giant blocks into gravestones and statuary. Check out the granite bowling alley (just the lane is granite, not the balls or pins), then pick up a chunk of scrap granite as a souvenir.